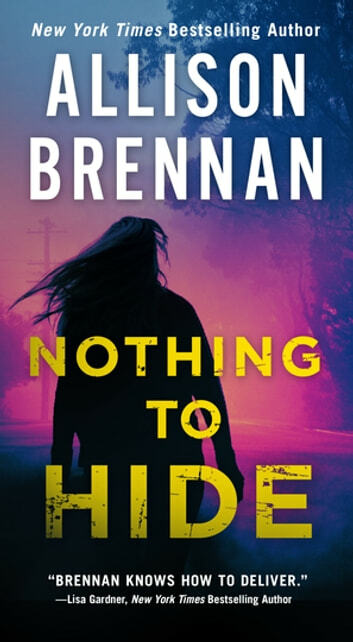 New York Times bestseller Allison Brennan's latest novel featuring FBI Agent Lucy Kincaid finds her on the trail of a serial killer. With a background in psychology, FBI Agent Lucy Kincaid is good at getting into the heads of killers and victims both. Still, her latest case is leaving her stumped. A third body has turned up in San Antonio—and it bears the same unique and troubling M.O. as the first two. The killer is clearly trying to send a message. But what is it—and to whom? All roads keep leading Lucy down a dead end. . . The victims are all married men who led honest lives alongside their adoring wives, but have nothing else in common. When Lucy catches each widow in a lie, she realizes that things are not at all as they seem. What begins as a seemingly straightforward investigation turns into something far darker and more sinister than Lucy could have ever imagined. Can she solve this case before more lives are lost. . . including her own husband?